The high pressure homogenizer HPH is an inline dispersing machine for energy-efficient, continuous production of superfine emulsions. 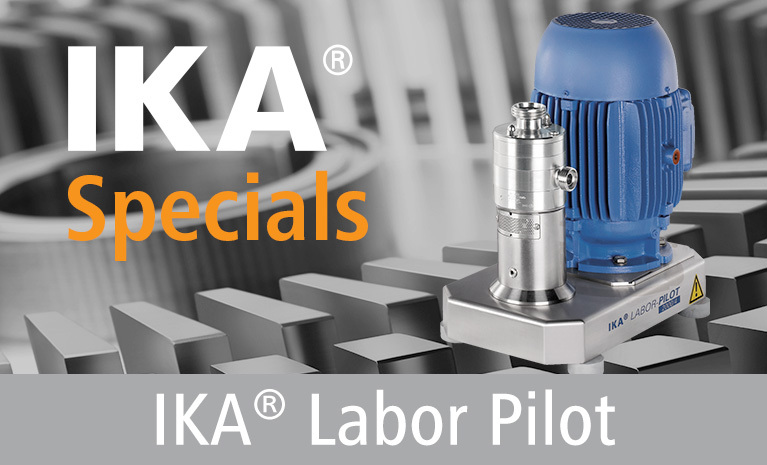 Compared to other IKA inline machines, the dispersing action of the high pressure homogenizer HPH is not based on the rotor/stator principle. The even better homogenizing effect is achieved within the homogenizer by means of spontaneous decompression of the liquid from max. 2000 bar to an ambient pressure. With the same energy input, the IKA HPH produces considerably finer emulsions than conventional toothed ring dispersers. 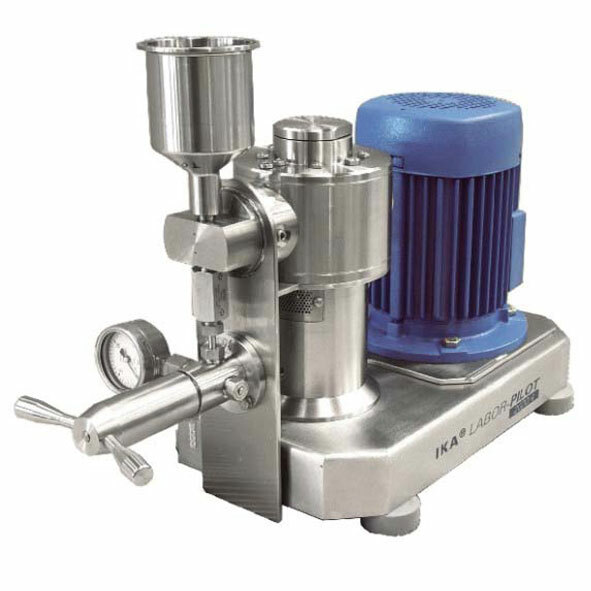 The use of high pressure homogenizers is recommended when a disintegration down to the nano range is required; however, these machines do achieve a smaller flow capacity than conventional dispersers. 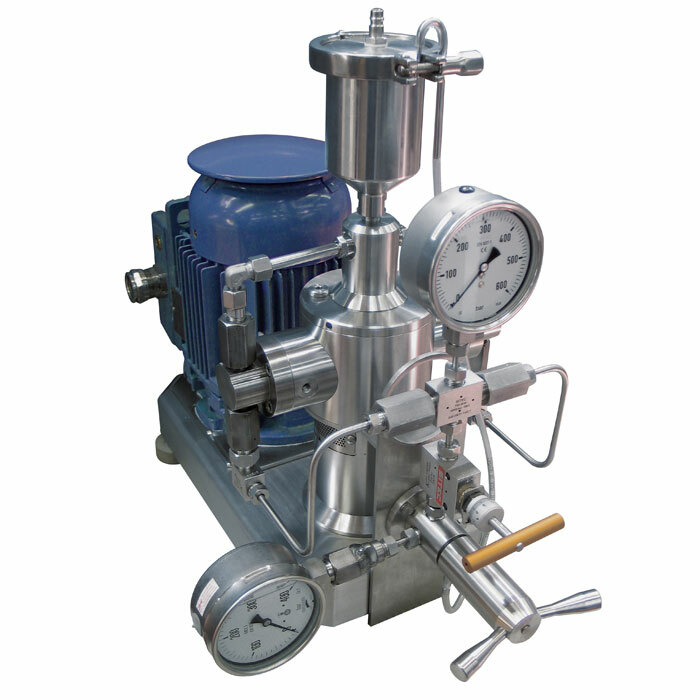 The high pressure homogenizer consists of a high pressure piston pump and a downstream homogenizing valve. The pressure build-up within the HPH occurs by means of one or more piston pump(s) which, with the help of ceramic pistons, ensure(s) a volume flow that is independent of pressure and virtually pulsation free. The desired homogenizing pressure can be infinitely adjusted. The pressure is reduced in a selected adjustable gap of the homogenizing valve. 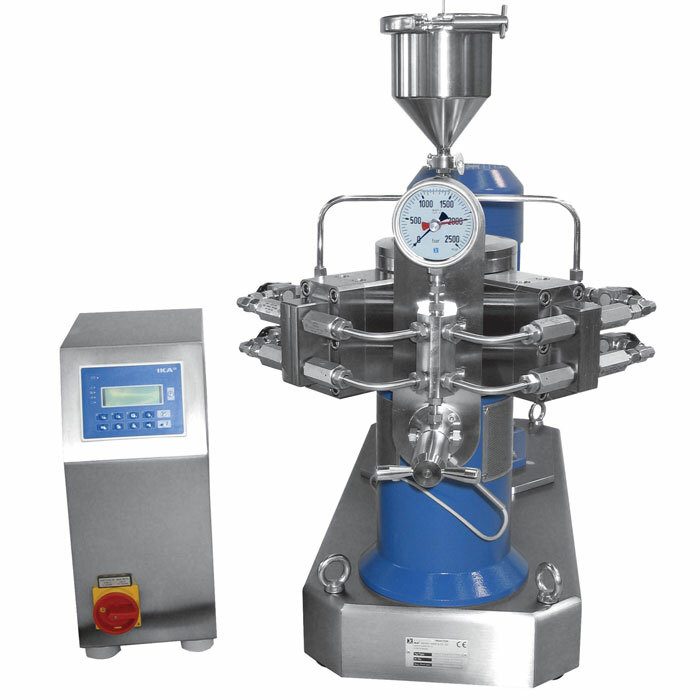 The quick pressure decrease in a moving medium leads to extremely high turbulences and cavitation, which then bring about the grinding of the raw product. The machine’s design can be adapted to fit customer-specific tasks. 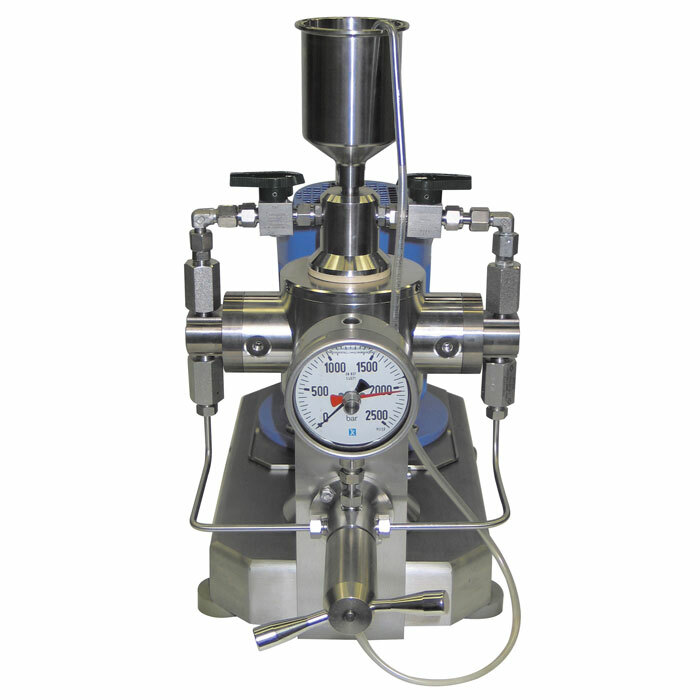 The high pressure homogenizer is available in two sizes with either one or more piston(s) of varying diameters. These parameters determine the max. homogenizing pressure (800 or 2000 bar) possible for a specific machine type, the minimal permitted feeding volume (up to 10 ml) as well as homogenizing results and flow capacities.